The Umbra Sword is a Daedric artifact designed with the sole purpose of the entrapment of souls. The ancient witch Naenra Waerr created the sword at the request of Clavicus Vile, who wanted the sword as a tool of mischief which would send him souls from the mortal realm. Naenra created the sword, but it was unstable, requiring Vile to give the witch a piece of his power to be imbued in the sword in order to stabilize it. However, Naenra (sometimes accredited with being Sheogorath in disguise) supposedly tricked him, as the piece of Vile's power imbued in the sword became a sentient being which called itself Umbra. Naenra was executed for her evil creation, but not before she hid the sword. The sword took on a life of its own, remaining hidden until a worthy wielder was found. Umbra then slowly takes control of the wielder. The Umbra Sword has the ability to change shape, but it is always in the form of a bladed weapon. It has been reported as a black and silver claymore, a jet black longsword and as a black sword emblazoned with red markings. The sword is also known to have the ability to absorb the health and stamina of those it strikes. In 3E 427, an Orc warrior who went by the name of his sword, Umbra, was spotted in the mountains outside the settlement of Suran on the island of Vvardenfell. The Orc's only desire was to die in battle, but no foe could defeat him. At his request, the Nerevarine bested the Orc in mortal combat and claimed the Umbra Sword. The sword came into the possession of Torasa Aram later that year, and was put on display in her museum in Mournhold. Sometime after the events of 3E 427, the sword was discovered by a Bosmer named Lenwin, from the small settlement of Pell's Gate in the Heartlands of Cyrodiil. She became bloodthirsty, and began calling herself Umbra after the sword. In 3E 433, Clavicus Vile sent the Champion of Cyrodiil to retrieve the Umbra Sword. Barbas, Vile's Hound, advised the Champion against bringing him the sword, foreseeing that it would bring ruin to the Prince. It is unknown if the Champion went through with the prince's request to return the sword, and receive the Masque in return, or if the Champion kept Umbra for themselves. However, the sword eventually found itself in the hands of Clavicus Vile. Once the sword arrived in Vile's realm, Umbra escaped and cut away some of the Prince's power for itself. Umbra took the form of a dark being, in the shape of a man but with eyes like holes into nothing. The Prince did not want Umbra to escape with his power, so he changed the walls of his realm, essentially trapping Umbra there. Using his stolen power, Umbra was able to conceal himself in one of the cities at the edge of Vile's realm, fearing that Vile would return him to the sword. In the early Fourth Era, Umbra was attracted to the influx of souls coming from the rift in the realm caused by the first ingenium, which held Baar Dau aloft above Vivec City. Casting a fortune, Umbra learned that the rift would one day become wide enough to throw the Umbra Sword through, lessening the threat posed by Vile. That day came when the ingenium was destroyed; Umbra threw the sword to Mundus, while at the same time Sul and Vuhon, two Dunmer responsible for the ingenium, were sucked through into Clavicus Vile's realm. Umbra took them captive, and in return for his life Vuhon promised to build a new ingenium, which would tear a piece of Vile's realm away and let Umbra "escape", in a sense. Umbra agreed, and the two created Umbriel, a floating city powered by souls. Umbra fused with Vuhon and placed their joined soul into the new ingenium. Vuhon then began to call himself Umbriel, and ruled the floating city. 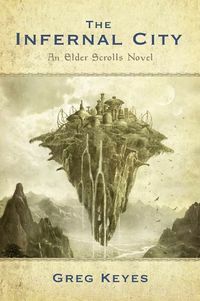 The city of Umbriel was called to Tamriel circa 4E 40 by Chief Minister Hierem and the An-Xileel, who had gotten in touch with the city via the Hist, who in turn had made contact with the related sentient trees which ran the ecosystem on Umbriel. Hierem had promised use of the White-Gold Tower to separate Umbriel from Vile's realm, but Vuhon first went north to the ruins of Vivec, fearing that the Umbra Sword may be used to trap Umbra. However, when Sul and Prince Attrebus Mede arrived at Scathing Bay on Vvardenfell in search of the Umbra Sword, it was nowhere to be found. The sword had already been retrieved by the minor House Sathil eight years previous. Without Umbra stabilizing the sword, it drove whoever touched it insane. Elhul Sathil had been the one to recover it, and had been driven into a killing frenzy. He was chained down and brought back to Castle Sathil on Solstheim. Once there, he regained possession of the sword and would not relinquish his grip. His father, Lord Hleryn Sathil, constructed a dungeon to hold his son until a cure could be found. Elhul stopped eating after the first year, and his father spent years reading up on the sword. Sul and Attrebus Mede eventually tracked down the sword, and were locked in Elhul's prison by Nirai Sathil, who feared the sword. The two defeated Elhul, who had become skeletal and impervious to pain, and used the sword to teleport to Vile's realm. With his power stolen by Umbra, Vile and his realm were weakened. The Prince tried to take the sword, but he couldn't handle it without Umbra stabilizing it. Attrebus negotiated with Vile, and agreed to free his lost power in return for passage to the Imperial City. Sul and Attrebus found their way into Umbriel, and Sul wielded the sword in battle against Vuhon. It had no effect on him, as his soul was in the ingenium. In a final battle beside the ingenium, Attrebus was forced to wield the Umbra Sword and plunged it into the machine. This separated Umbra from Vuhon, trapping Umbra in the sword and mortally wounding Vuhon. With the veil over Umbriel destroyed, Clavicus Vile could enter. The Prince possessed Attrebus and used the Umbra Sword to stab Sul. Sul punched Attrebus and returned him to normality, before jumping on the orb of the ingenium with the sword still embedded in his chest. This turned his body and the Umbra Sword to smoke, seemingly destroying the artifact for good and allowing Vile to reclaim his power. In late 4E 179, the Umbra Sword mysteriously returned to the affairs of mortals when an Imperial treasure hunter named Cresitus fell down a hole in the mountains east of Shor's Stone in Skyrim and broke both of his legs. He found himself within the long-lost crypts known as Champion's Rest, an ancient Nordic ruin once used to as a gladiatorial arena. Stranded and dying, Cresitus began to dream that he was swimming in a sea of black, with the Umbra Sword calling out for him to claim it. He awoke to find the sword next to him; his legs immediately began to heal, as if by magic. Over the next several days, Umbra began to whisper to Cresitus in his sleep, hungering for souls. Eventually, Cresitus set up camp and gave up any plans to escape the ruin, finding himself content among the restless souls of so many fallen warriors. His psyche fused with the sword, and, donning a set of ebony armor, Cresitus began to call himself Umbra. He remained undisturbed for many years, until circa 4E 201 when silver prospectors from Shor's Stone broke through into Champion's Rest and encountered an armored "ghost" wielding a whispering sword. This ghost was in fact a soul image of Umbra, a physical manifestation which he could split from his person at will. Champion's Rest was subsequently investigated by the Vigil of Stendarr, who correctly surmised that the Umbra Sword—thought to have been destroyed—was the only Daedric artifact which matched the miners' description. Hearing rumors of the ruin's discovery, the Last Dragonborn arrived at Champion's Rest and entered the draugr-filled ruin to put a stop to Umbra before he could threaten Shor's Stone. Umbra and his soul images faced the Dragonborn in the ancient Nordic arena, possessing powerful magic and physical immunities, but the Dragonborn was successful in killing Cresitus and claiming the sword to prevent it from falling into the wrong hands. This page was last modified on 9 January 2019, at 03:28.